In May 2012, my mother-in-law gave us her old car – but we live in Halifax and the car was in Edmonton. So we flew there and drove it all the way back to Halifax. We had great weather and I had a new camera. This is the last part of a series of blog posts about the trip. After several weeks and several thousand kilometres, we were ready to get back home to Halifax. Our campsite in New Brunswick was only a few hours’ drive away. All through this trip, I had been trying to find the best way to have decent coffee while camping – little Nescafé packets with pre-mixed sugar and milk powder were nifty but not exactly gourmet. I had picked up some nice Italian Illy coffee in Alberta and had used it in a little coffee filter cone over a cup – but I could only pour a little bit of water at a time, and it was difficult to clean properly. 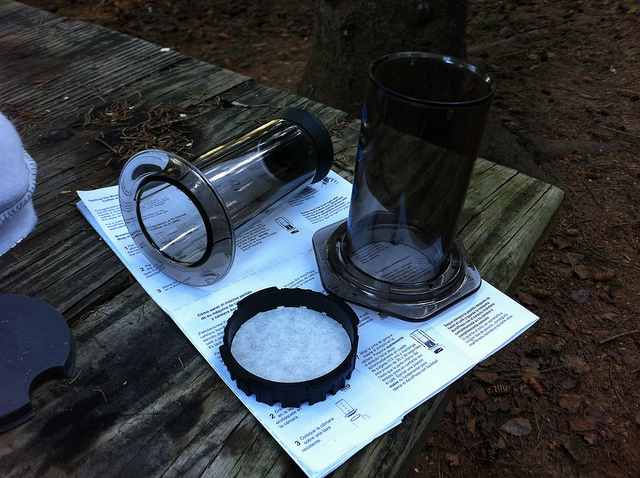 I finally found the best solution for camping coffee – or for any coffee, for that matter: Aeropress. We had been camping for years, but had mostly tried cooking on a campfire, which was fun, but time-consuming and messy and smoky. 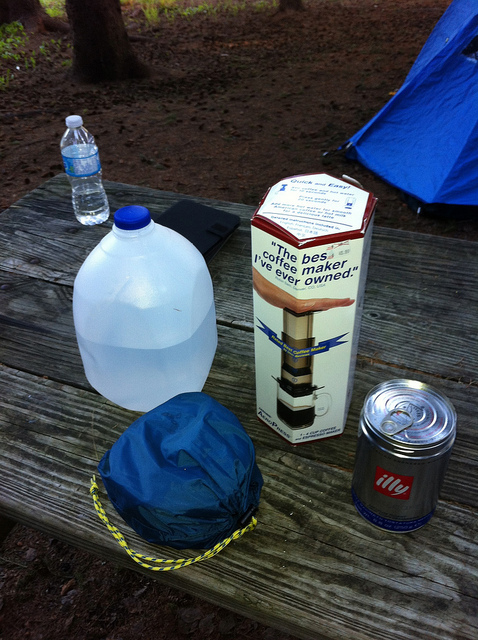 Our whole experience improved once we started using little alcohol-based camp stoves. They’re portable, clean, and easy to set up – and they can boil a pot of water quite quickly.